Traditional shampoos can be drying to the hair. There are certain ingredients that shampoos contain such as sulfates, parabens, and alcohols that contribute to drying out hair and scalp. Shampoos are considered responsible for stripping hair of its natural oils and seem to be a forbidden to some naturals. However, cleansing the scalp is still important. The hair grows from the scalp and you have to have a healthy start to your hair growth. For all you DIY naturalistas out there, here are three natural cleansers that provide a gentle yet effective cleaning for your scalp. Hailing from Africa, this all natural soap is rich in vitamin A, vitamin E, and iron. It is also blended tropical honey, virgin coconut oil, and cocoa powder. These ingredients foster softness and strength to the hair. The shea butter that is also in the shampoo adds shine and manageability. The soap also offers a gentle lather for those who prefer the lathering cleansers. You can use this shampoo bar as a whole or cut it up into pieces. Cutting the bar up into pieces will ensure that it lasts longer. If you dilute the shampoo with water, you can add your own essentials oils in order make it a super cleansing concoction. Both of these clays have outstanding cleansing properties. They can be found in a pure powder form or blended form. Bentonite clay is said to hydrate, moisturize, tame, defrizz, define, restore pH, and untangle the hair. Adding oil or honey can add additional benefits as well. This natural cleanser can be applied to the scalp directly in order to remove buildup. Some people have reported not needing to deep condition after the clay rinse. Rhassoul clay adds shine, manageability, and moisture to the hair. Both clays are a great addition to your hair regimen. Rhassoul clay is a little pricier, but adds more moisture. Bentonite clay cleanses the scalp and hair more effectively. While this method is slightly unconventional, it has proven as an effective cleanser. All you need for this method is oats, a pot, and water. 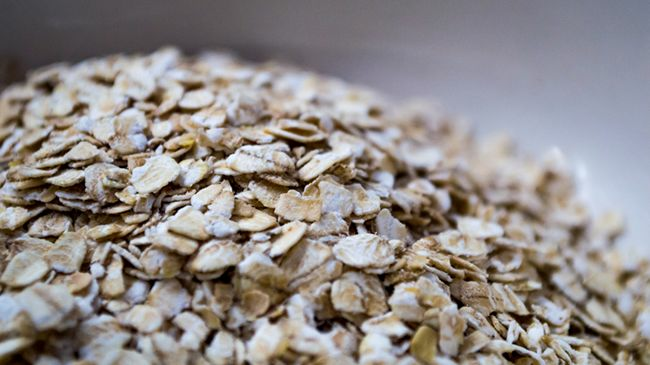 Boil the oats in a pot and strain the water to remove the oats. Boiling the oats cause natural saponins to be released. Once it has cooled down, you can add any essential oils you want in order to add nutrients to your hair. It may give a gentle lather. Shampoos, while effective, can be drying to the hair. These natural DIY methods can provide a similar cleanse and save you the possible damage. What DIY cleanser do you use?